When you’re a kid away at summer camp, there is nothing better than getting a care package from home filled with delicious homemade snacks. Here, 10 great ideas for what to send. 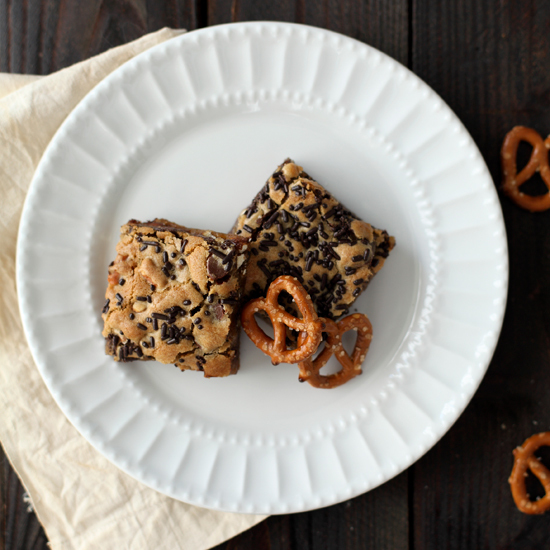 These salty-sweet bars are deliciously gooey on the inside. The berry filling in these bars is tart, fruity and superbly balanced by the crisp, buttery shortbread crust. These irresistible cookies are filled with shredded coconut to make them extra chewy. Rice Krispies Gluten Free cereal, made with brown rice instead of white, is the secret to these crisp and chewy sweets. These honey–flavored cereal bars with puffed rice and toasted oats make a great substitute for store-bought energy bars. Here is a chef’s sweet-and-savory take on the classic American snack Cracker Jack. The filling for these Oreo-like sandwich cookies is made with butter, sugar and Ovaltine. These delightful nut bars are both gooey and crisp. Bark is the easiest chocolate bar you can make, and you can tailor this one to your taste. Rice-flake cereal, seasoned nori, miso and wasabi come together in this light, munchable, Asian-inspired riff on Chex Mix.